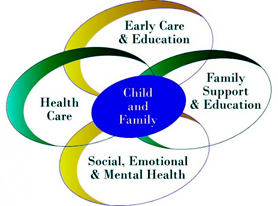 Mission: Strengthening the resources and services for children 0-8 and their families in Northwest Colorado! Vision: All children and families in Moffat and Rio Blanco counties have quality early childhood services and nurturing environments in which to thrive. Dolly Parton's Imagination Library will help you read with your child. There are many reasons parents do not read to their child, but we can eliminate one of them. Every child will have books of their own at no cost to you. 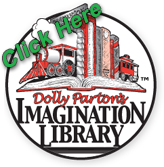 Registration for Dolly Parton's Imagination Library is open for Moffat County and Rio Blanco County children under the age of 5! Each month a new, carefully selected book will be mailed in your child's name directly to your home. He/she can look forward to new and exciting reading adventures from Dolly Parton's Imagination Library until he/she turns five years old as long as they continue to live Moffat and Rio Blanco counties. Connections 4 Kids is now a 501(c)3.